The move announced in the recent GST Council meeting is expected to give a boost to the sluggish sales in the used car market with the new GST rate decreased from 28 per cent to 18 per cent for medium and large cars and SUVs, and 12 per cent on small cars. Ahead of the Budget 2018, the GST Council met for its 25th meeting in Delhi this week headed by Finance Minister Arun Jaitley. The council made a number of revisions to the tax rate on 20 items including used vehicles. Under the revised decision, GST rates on used cars have been reduced, while cess was removed across several categories. The move is a big push towards the used car segment that accounts for a substantial number of sales every year and will be effective from January 25 in the country. Accordingly, the GST rate on used medium, large cars and SUVs has been slashed from the previous 28 per cent to 18 per cent. Similarly, that on small cars and motor vehicles has been reduced from 28 per cent to 12 per cent. The cess in both of these categories has been removed. The rate also includes buses for use in public transport, which exclusively run on bio-fuels. The GST cut will apply to all types of old and used motor vehicles on the margin of the supplier, subject to the condition that no input tax credit of central excise duty/value added tax or GST paid on such vehicles has been availed by him. In addition, the GST Council announced that Cess on ambulances will also be abolished completely, as against the earlier rate of 15 per cent. Commenting on the reduction of GST rates, Cars24, COO, Mehul Agrawal said, "The reduction in GST rates from 28% to 18%/12% and Compensation Cess to 0% is an output of significant representation from the used car industry to GST Council and shows a positive stance of the Government to rationalize GST by taking into account industry specific context. The move enormously benefits the premium car segment where the tax rates have been cut from as high as 50 per cent to 18 per cent." "The earlier rates resulted in an increase of used car prices and posed hindrance in moving used car participants to an organized economy. The reduction in rates will fuel used car demand along with driving higher tax compliance and getting more players under GST fold. 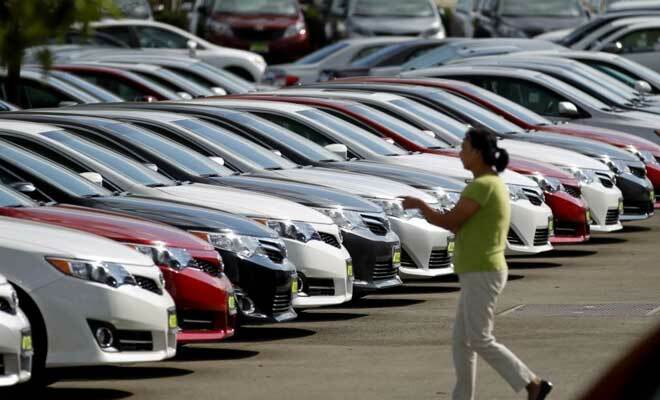 The proposed change is expected to lead to a drop of 5-15% drop in used car prices that benefits the buyers and an expected increase in price upto 5% for the sellers," he added. The new GST rates also affect almost all major auto manufacturers including luxury car makers, which have presence in the used car market. In fact, for companies like Maruti Suzuki (True Value) and Mahindra (First Choice), its used car business brings a significant pull of car sales. Other car makers too including Mercedes-Benz, Audi, Nissan, Renault, all have presence in the used car business. The larger chunk of this market though remains unorganised in the country.